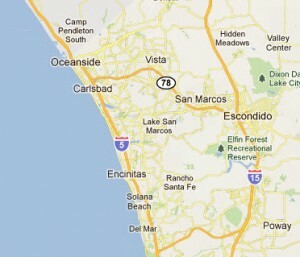 (December, 2011) New tow truck added to North County San Diego! Those of you living and working in the larger and smaller cities north of San Diego will start seeing an improved towing and roadside assistance experience from Green Towing. With the high volume of calls coming from Oceanside, Carlsbad, Escondido, Encinitas, San Marcos, and Solana Beach, we knew we needed to bring more coverage and assistance to this region! Over the past year, Green Towing has seen tremendous growth, adding towing coverage to Orange County and Los Angeles. While the company started out several years ago in San Diego, we have expanded and are now beginning to refocus and reinforce our reliable towing services closer to home. Green Towing is proud of our local towing feel and we strive to provide immediate, friendly, and quality towing services throughout Southern California. We never want to lose sight of our humble beginnings and we continue to take pride in our dedication and responsiveness to our community. In an effort to communicate our increase of coverage area, we have built individual pages on our website for the cities within North County. 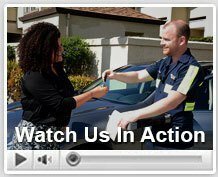 We know when you are facing a roadside emergency, you need information specifically related to your city. That’s why if you visit our site, you find a Oceanside Towing down to Del Mar Towing, and everywhere in between. You can expect the same responsiveness, reliability, and dedication that make Green Towing unique in the industry. We only hope to get even better with our fast response times, number of qualified technicians, and auto emergency services we provide. Next time you find yourself facing a roadside emergency in North County, CA, rest assured that you have a strong fleet of tow trucks standing by to help you!